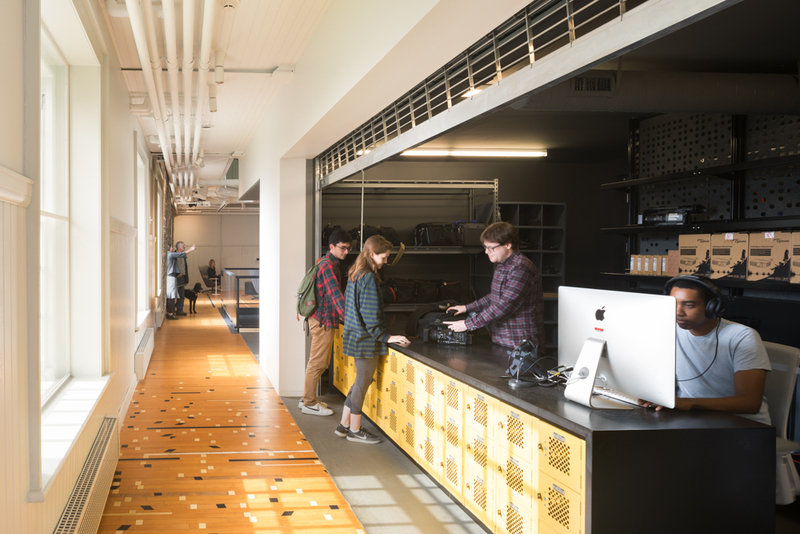 VCAM features a number of new facilities and programs supporting film and media work by Haverford students and faculty. VCAM Equipment Checkout (VCAM 101B) houses cameras, lights, and other equipment used in VCAM courses with film/media components. Additional equipment is available in the Stokes Instructional Technology Center. Haverford VCAM equipment loans are provided to Haverford College students, faculty, and staff currently enrolled in related video production courses, or for use in conjunction with VCAM sponsored events. Bryn Mawr College and Swarthmore College students enrolled in a VCAM video production course may borrow equipment as needed for assignments in that class. View the equipment inventory and make a request online. The VCAM Screening Room (VCAM 001) serves as a venue for classes, co-curricular screenings, and public events in VCAM. Users can connect their laptops directly at the podium via HDMI or VGA connection to project onto the screen. They can also screen a DVD or Blu-ray in the space by accessing the player in the projection booth. Requests must be made a week in advance to provide student support for a screening involving a DVD or Blu-ray. 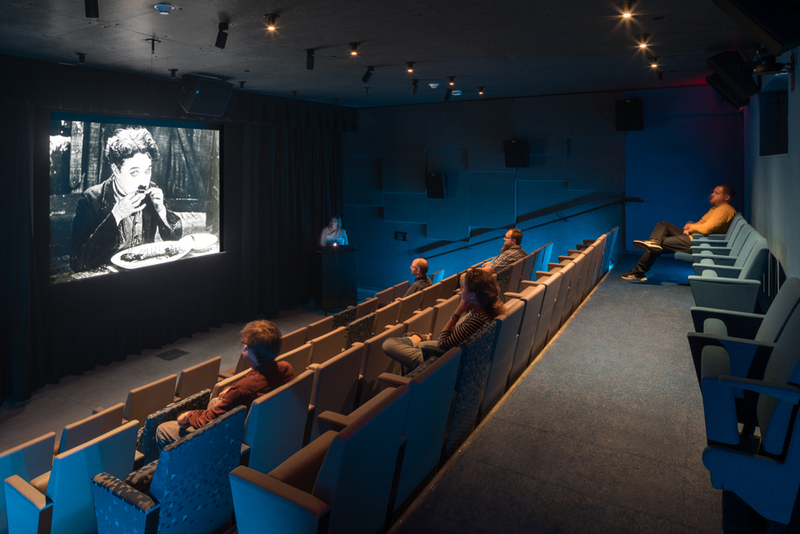 The Screening Room also hosts a Digital Cinema Projector for special events with visiting filmmakers or film-related courses. The Film/Media Editing Studio (VCAM 101) has 16 iMac computer stations in the main room, with another iMac at the room’s teaching station. These iMacs come equipped with the Adobe Creative Cloud suite, headphones, and a special AJA media encoder to route picture and sound to the projection screen in the room. 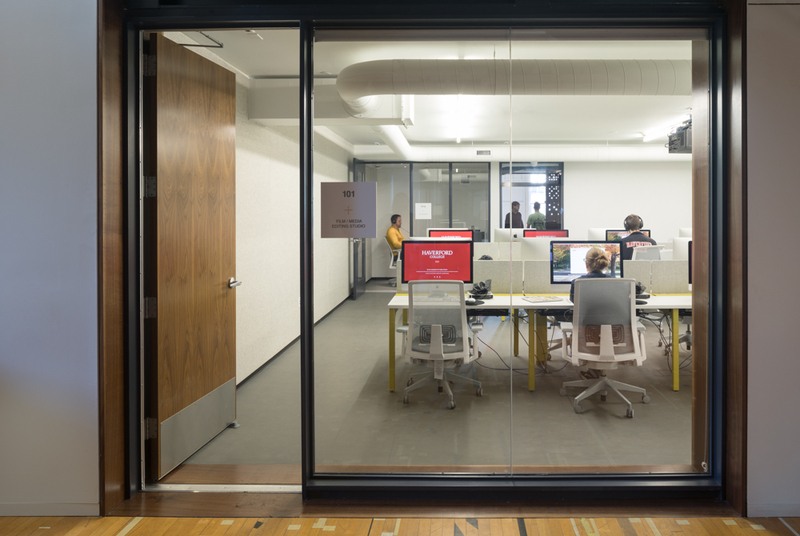 There is also a separate editing room (VCAM 101A) to allow users some privacy when collaborating on a project or for more in-depth audio editing. VCAM 101A is also equipped with an iMac and Adobe CC suite. 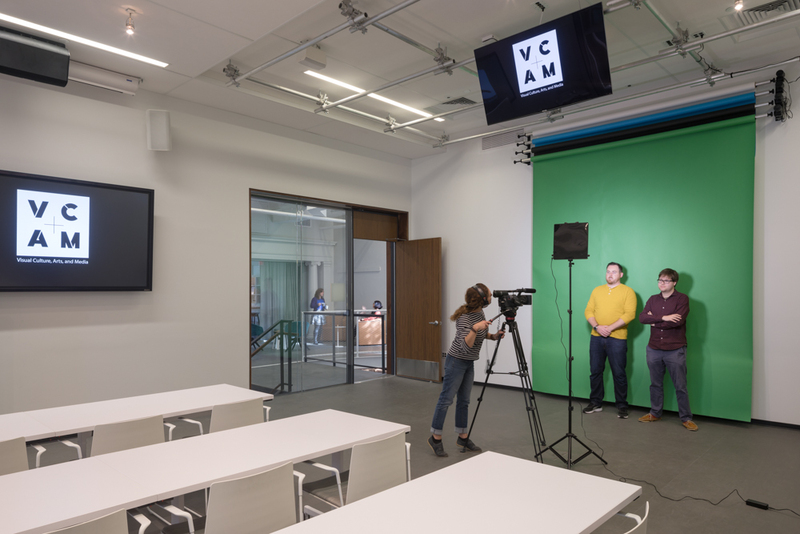 The Object Study/Media Production Classroom (VCAM 201) is a flexible space designed for teaching both video production and the study of objects. The room has two LCD screens and a single projection screen that are equipped to show computer desktops, production camera feeds, and Blu-ray / DVDs. VCAM 201 also has multiple roll-down screens for background use (green, white, black, grey) in film projects. The remote may be checked out in the VCAM Equipment Checkout, 101B. Finally, VCAM 201 hosts an exhibition wall viewable from the building’s main Presentation Lounge, capable of storing objects in use by classes throughout the semester.